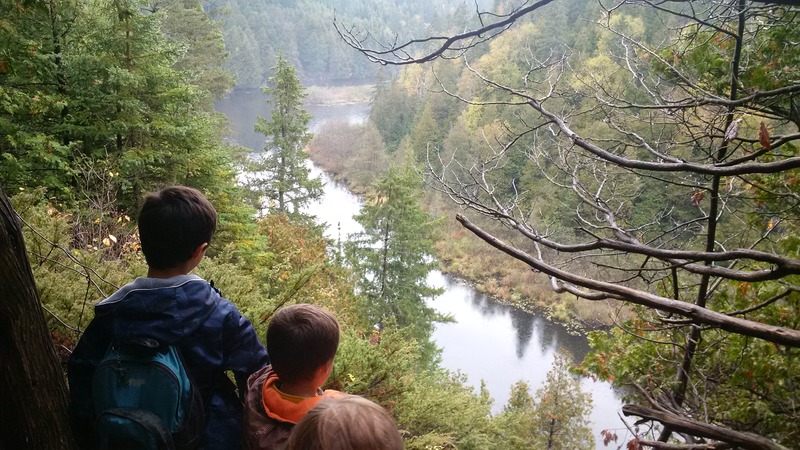 Warsaw Caves is a beautiful park and campground not far from Peterborough, Ontario, about a two-hour drive from Toronto. It features spacious campsites that come with a picnic table and a grill. There are outhouses near the campsites, and a comfort station with proper toilets and sinks a short drive away. There are many things to see and do in and around Warsaw Caves, including pretty hiking trails that look out over the Indian River, which you can also canoe on or swim in. As per the name, though, one of this camp’s best features are the caves, which you can climb in and explore. 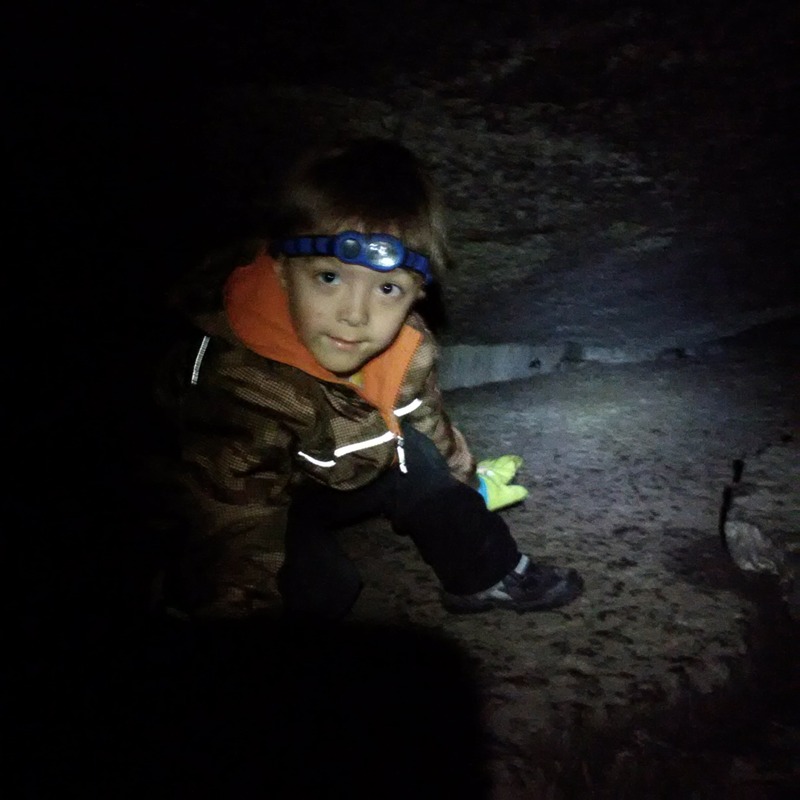 The caves are not hard to climb, though you would want to have good shoes and a flashlight to enjoy them safely. What I enjoyed the most about camping at Warsaw Caves was how quiet it was there; in Toronto, you can always hear traffic, sirens, stereos and airplanes flying over. At Warsaw Caves I could sit quietly and hear the wind through the trees and the birds chirping. Warsaw Caves is a great place to go to for families or groups of friends looking for a chance to get away from the city a bit and enjoy being in the woods, while still having some comforts like flush toilets nearby. You can visit the Warsaw Caves campground website here. Take the 401 Highway East, then the 115 Highway north to Television Road in Peterborough. Television Road will take you North and East all the way to the campground. You should be able to get there in two hours if traffic isn’t bad. 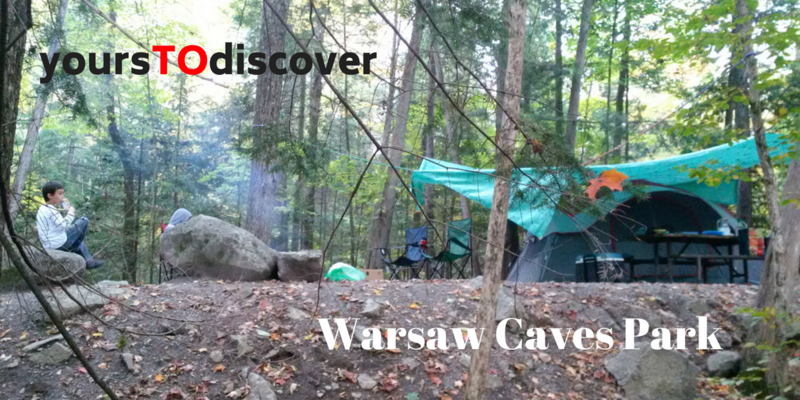 Warsaw Caves campsites are very affordable, at $46 per night. You can also buy firewood for $12 a bag. Canoes can be rented for $12 an hour or $48 a day.